Lucas Torreira is expected to be available for Arsenal when they travel to Napoli for the second leg of their Europa League quarter-final on Thursday (kick-off 8pm). 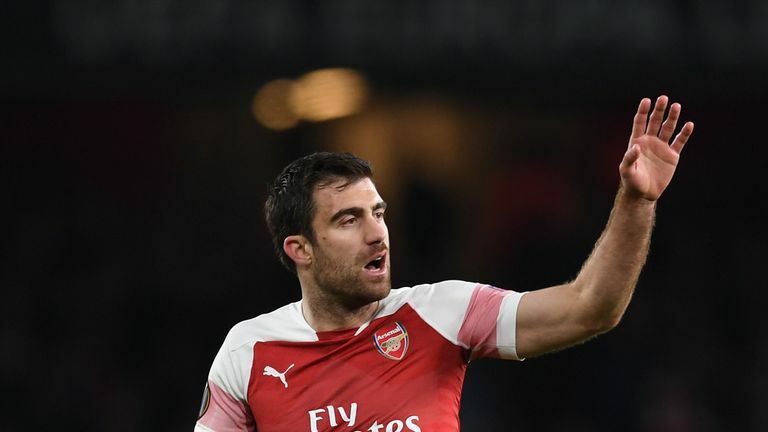 The midfielder played a part in the second goal as Arsenal won the first leg 2-0 at the Emirates after an impressive first-half display. However, he was taken off at half-time of the 1-0 victory at Watford on Monday Night Football due to a groin injury. 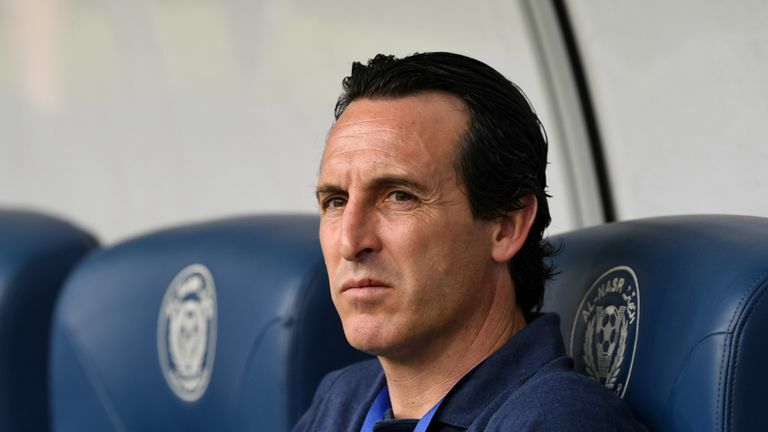 Torreira is set to be assessed ahead of the match, with Gunners head coach Unai Emery saying he was "60 per cent happy" with the first-leg result. "We know the first leg today was very important to take good results and a good feeling with our supporters. "We know it'll be very difficult there, their performances at home are usually strong performances. They'll use all their attacking possibilities against us." 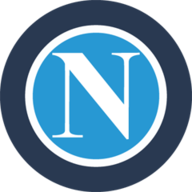 Napoli won 3-1 at Chievo in Serie A on Sunday and midfielder Jose Callejon revealed the players held a meeting after a "disappointing" first leg against Arsenal. "We will give everything we have inside us to get through," he said. "After the first leg we got together and spoke between ourselves. We spoke openly about everything. We've got a solid and united dressing room, which is something we've shown over the years. "We've very optimistic. We got our approach wrong in the first leg. There was a feeling of disappointment after the game in London." The winner of the tie faces Valencia or Villarreal in the semi-finals. Arsenal will be without Denis Suarez due to a groin injury along with long-term absentees Hector Bellerin, Rob Holding and Danny Welbeck. Napoli's only previous home match against Arsenal was in the 2013-14 Champions League group stage, winning 2-0. Arsenal's last away match in Italy was at the last-16 stage of last season's Europa League, winning 2-0 against AC Milan. 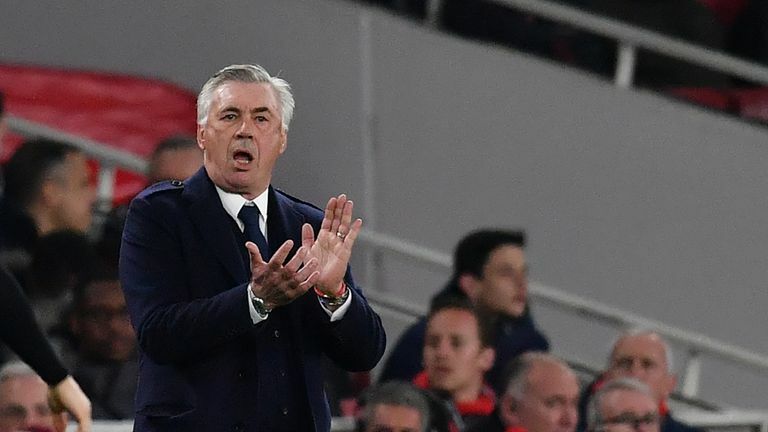 Napoli have been eliminated on the last eight occasions they've lost the first leg of a major European knockout match, last overturning a first leg deficit in the 1988-89 UEFA Cup quarter-final against Juventus (0-2 first leg, 3-0 second leg). 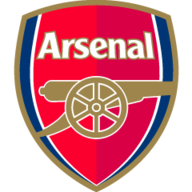 Arsenal's 2-0 win in the first leg was the 17th occasion the Gunners have won the first leg of a major European knockout match by two or more goals - they've progressed on each of the previous 16 occasions. 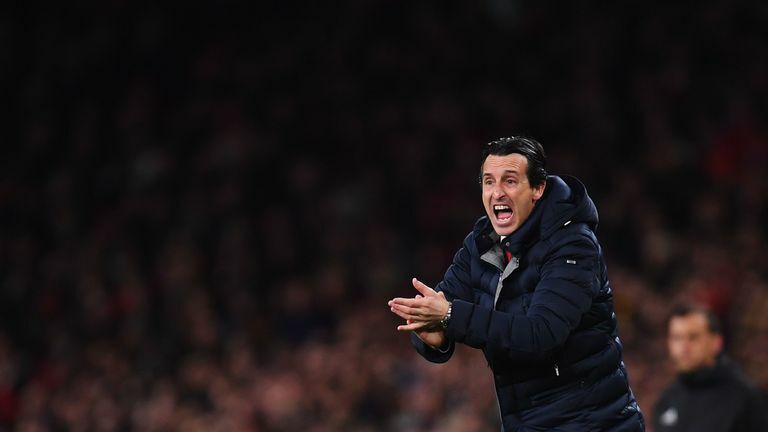 Unai Emery has won 25 matches in the Europa League knockout stages - more than any other manager. I am very nervous to be honest with you. Napoli could have scored a couple but Arsenal had so many chances to extend their lead at the Emirates. I would abandon the goalkeeper getting it and playing it around at the back. I would go back to front and get the game played higher up the pitch. I would keep Lucas Torreira in the team and keep Matteo Guendouzi sitting in front of the back four. If they go with the back three that is fine too. I would leave Mesut Ozil out and put Aaron Ramsey and Pierre-Emerick Aubameyang in. I would play Ramsey in front of the holding midfielders and put Aubameyang and Alexandre Lacazette further up. I think Arsenal have to score in this one and they will.